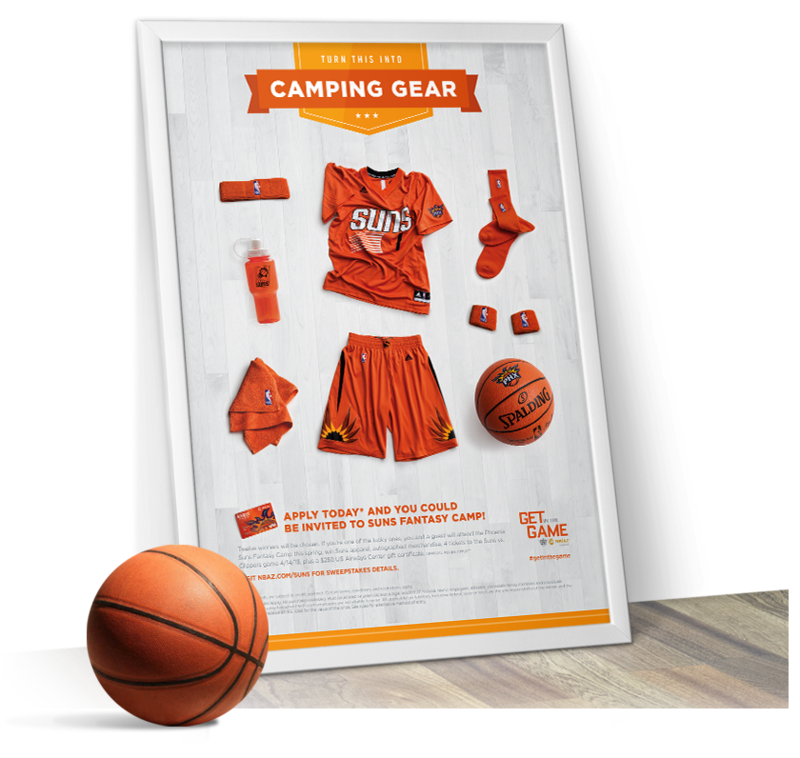 National Bank of Arizona (NB|AZ) needed our help with their 2014/2015 marketing efforts throughout the state. With an established brand and strong reputation already in place, we had fun helping them get creative with their promotions, new ventures, and service to their community. 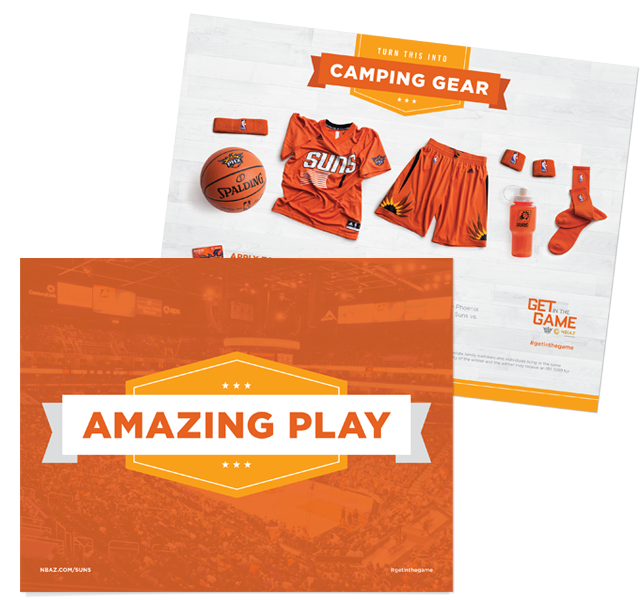 We helped invite potential customers and cardholders to Get in the Game through applying for NB|AZ’s Phoenix Suns AmaZing Rewards® credit card. 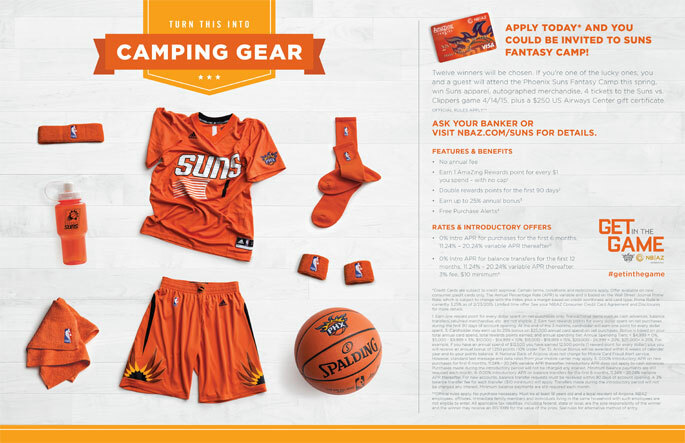 NB|AZ offered twelve lucky card applicants the opportunity to win a custom prize package including an invitation to Suns Fantasy Camp, Suns apparel, autographed merchandise, 4 tickets to the Suns vs. Clippers game, plus a $250 US Airways Center gift certificate. The promotion circulated through a variety of marketing channels, including a fifteen second TV commercial, a thirty second radio ad, a custom E-blast, a large mix of web banners, and a running list of marketing collateral displayed and available in each of their 60+ branch locations. Counter-clockwise from top: a “Take-home” for customers, a Teller Placemat, and a Teller Tent. Utilized at each of their branch locations throughout the state, encouraging new and existing customers to Get in the Game. 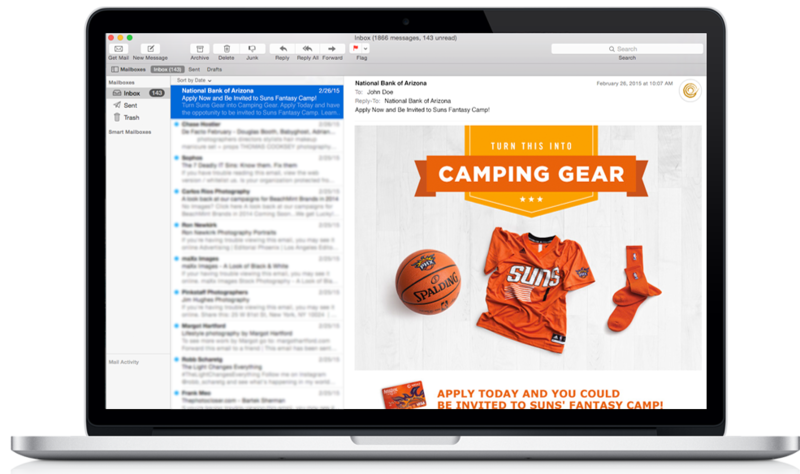 The promotion continued its reach through digital channels, utilizing an E-blast announcing the contest to NB|AZ’s impressive database. 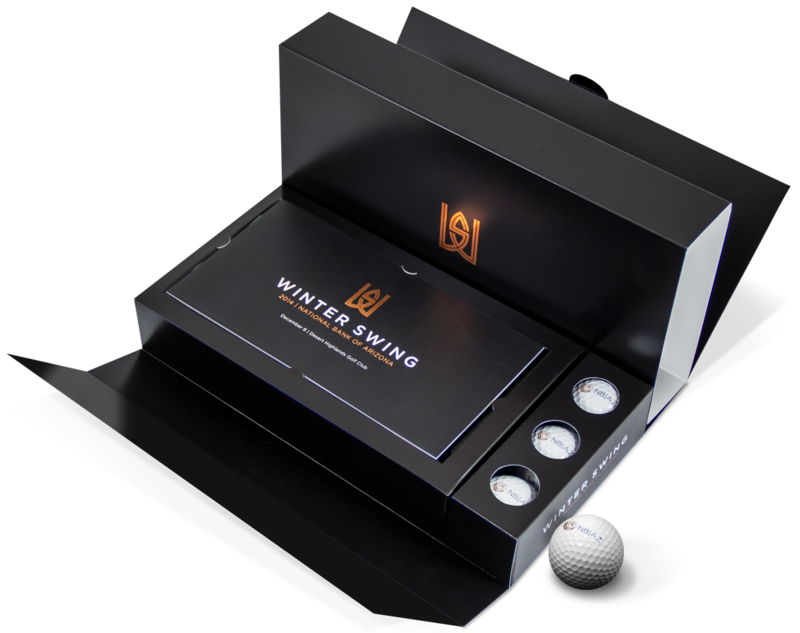 We helped NB|AZ market their 2014 Winter Swing Golf Tournament. Miscellaneous collateral pieces incorporated the 2014 tournament logo created by D+B, including a box of logoed golf balls sent out to over 50 of the city’s top CEOs, inviting them to participate in the tournament on behalf of their charity of choice. Additionally, D+B assisted with all other tournament assets including the event program, pin flags, tee signs, and a cart sign. 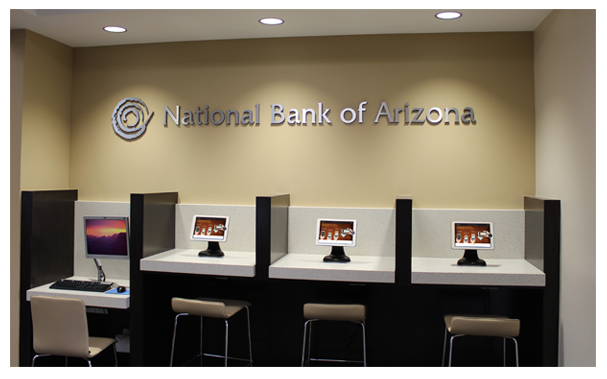 We are proud to have worked with NB|AZ in opening their new East Flagstaff “virtual” branch, the first of its kind for NB|AZ. 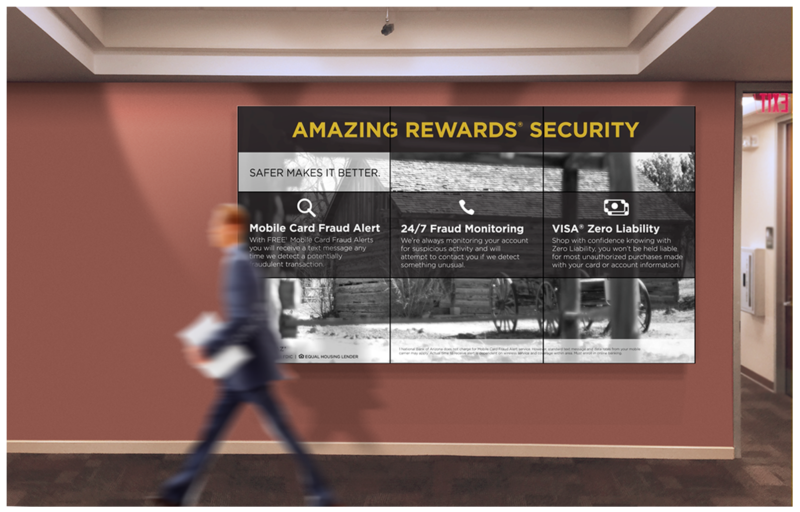 The virtual branch features a massive and cutting edge parallax video wall, utilizing still images brought to life, spread across nine flat screen monitors. Complementing the digital nature of the video wall, developers constructed an iPad microsite that contributes to the virtual nature of this branch, a new endeavor for NB|AZ as they continue to grow their reach. 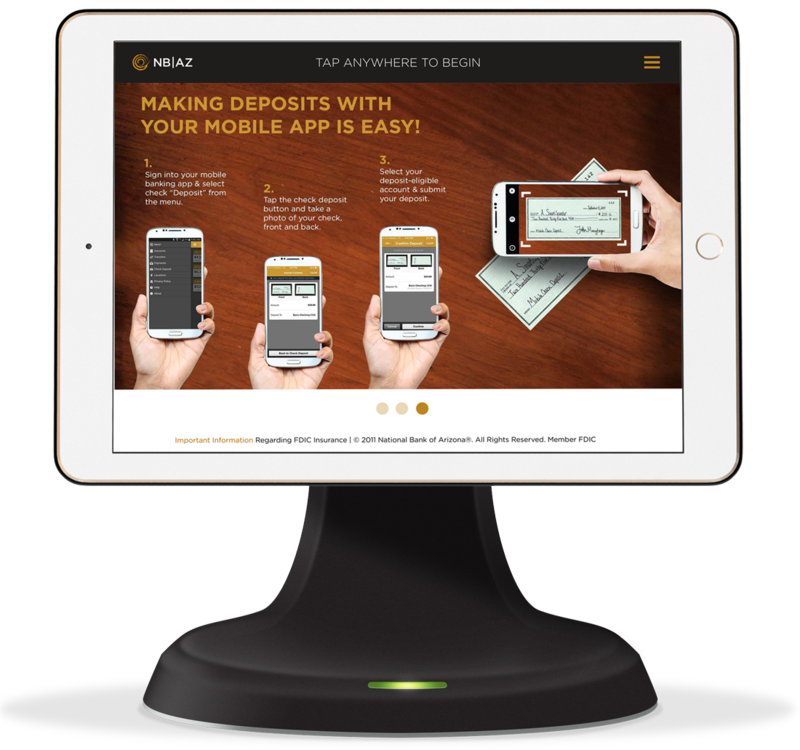 Three iPads will be featured within the branch with a simple navigation system, making current bank offerings and options easy for patrons to explore. The Get in the Game promotion was a huge success! 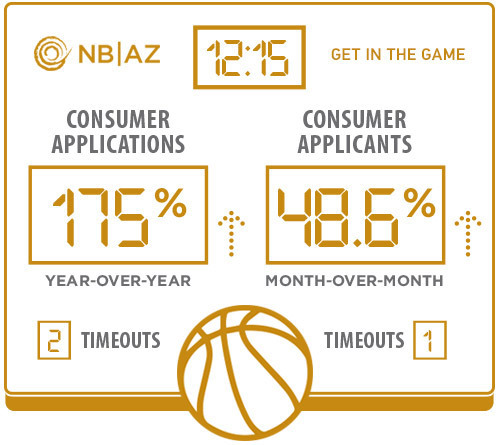 The number of consumer applications NB|AZ received increased 175% year-over-year (YOY). For the month of March, applicants increased 48.6% month-over-month (MOM).